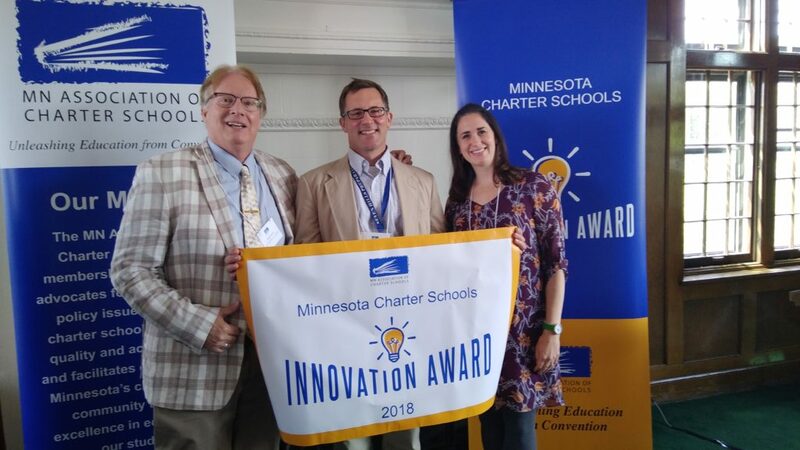 In May 2018, Seven Hills Preparatory Academy received the 2018 Minnesota Association of Charter Schools Innovation Award for Improving Learning Opportunities for Students! Our award recognizes our innovative partnership with Adler Graduate School of Counseling, a collaboration that was initiated five years ago and has since developed and evolved to match our school’s growth as well as meet our students’ changing needs in the area of counseling. The award comes with a banner, $1,000 check, documentary video, and logo for promotional use. I would like to recognize Mr. Doug Pelcak from Adler Graduate School and the many tremendous interns, including current employees, Ms. Keating and Ms. Spangrud! We have benefited from as part of this unique program, which provides targeted and tailored, cost-effective and high-quality, counseling services for students in addition to supports for families and training for staff. This counseling program has since been successfully introduced in some form at three other charter public schools, and we pleased that our founding model is serving other schools in this important capacity. Student counselor ratios across the country and the state are significantly higher than recommended averages, and yet we know student mental health and social-emotional support are critical to academic performance and educational success, so we are very proud of our innovative work in this area. Seven Hills is recognized as the top scoring school in Minnesota for reading proficiency at the elementary level. 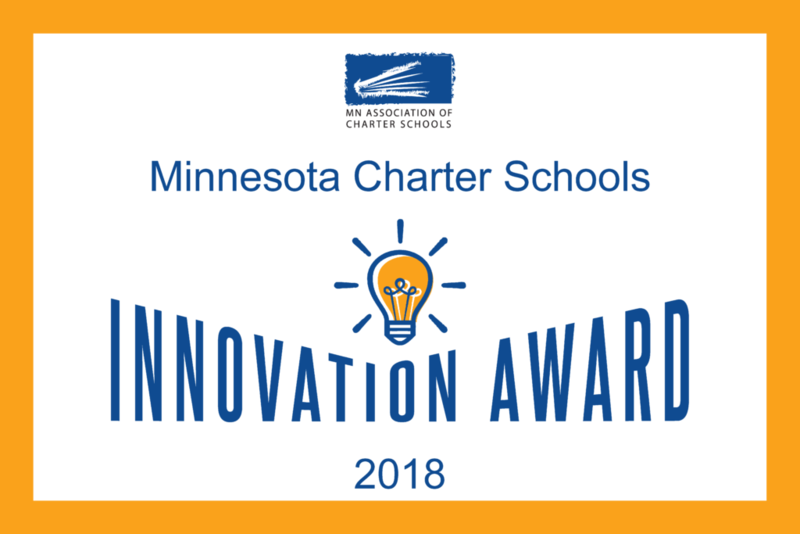 The School Finance Award is awarded annually by the Minnesota Department of Education, Division of School finance, to recognize schools for meeting statutory deadlines for submission of audited fiscal financial data and reporting criteria. 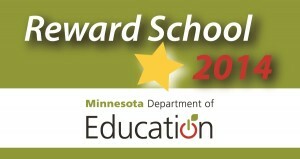 Seven Hills placed in the top 15% of Minnesota schools. The Department of Education bases this ranking on the Multiple Measurement Rating (MMR) results of the Minnesota Comprehensive Assessments standardized tests that all public school students are required to take in the spring of each academic year. The MMR tests math and reading, considers student proficiency, student academic growth, and compares the performance of students in sub-groups which define the achievement gap.